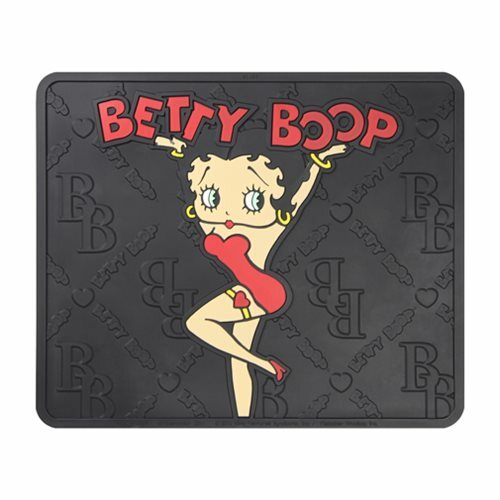 Show off your individuality while protecting your car's carpet from dirt, mud, and grime with this Betty Boop Chain Link Utility Mat. Handmade with heavy duty materials and molded in deep colors, these utility mats will wow you with their craftsmanship and resilience. Easy to clean, these mats have a fully nibbed backing to prevent slippage. Comes with one 17-inch x 14-inch mat. Ages 13 and up.